During the construction of Ormesby bypass in east Norfolk, human bones were found by the contractors. Excavation revealed that these were not isolated burials but part of a cemetery. Sixty articulated burials were excavated which, along with unstratified bones, represented a minimum of forty-five adults and seventeen children. A date range of 11th–14th centuries has been suggested by radiocarbon determinations which were calibrated with consideration of the marine protein component of the diet of the individuals. 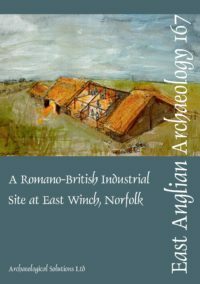 Demographic, metrical, morphological, dental and pathological aspects of the population have also been studied, and compared with other contemporary Norfolk groups. Demographic analysis suggests a trend towards death in old age amongst the men and in young adult life for the women. 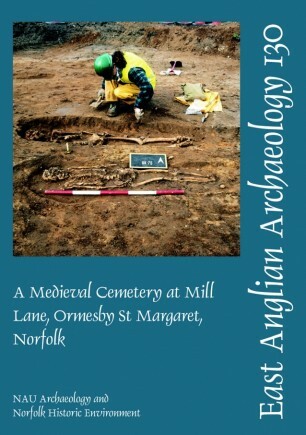 Metrical analysis showed a similarity with medieval groups in Norfolk, and non-metric traits suggested a close affinity with people from a nearby Saxon cemetery and a medieval group from Norwich. Ormesby had four churches during the medieval period: the locations of three (St Margaret, St Michael and St Peter) were known, and the location of the fourth (St Andrew) suggested, prior to this excavation. None of these were adjacent to the burials. Consideration of the archaeological evidence along with aerial photographs, cartographic and secondary documentary evidence allows an alternative location to be suggested for the church of St Andrew, adjacent to the burials.